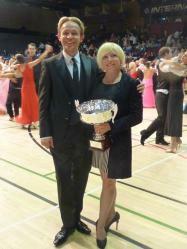 Check the the up-to-date results on dancesportinfo.net website. Read all the news posted on this website. Kai Widdrington and Natalia Jeved, two pupils of A&L Dance Academy wowed the judges on Britains Got Talent on Saturday 21st April 2012, achieving all Yes votes from the judges putting them through into the next round of this talent show! Kai and Natalia have been dancing since 2010, and train every week in A&L Dance Academy in Hedge End. They won Junior World Latin-Amercan Championships in Paris in 2010, and are climbing up the ranks in youth. 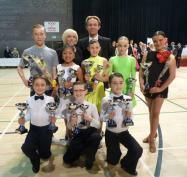 All at A&L Dance Academy are very happy and proud of Kai and Natalia and will support them all the way! Good Luck guys!!! 2012 started off with a bang! The first competition of the year in the famous Winter Gardens Ballroom,Blackpool. Well done to all A & L Dance Team, we came away with some fabulous results!! Despite this festival being very new, it is certainly becoming one of the most popular events to dance in! Right in the heart of Disneyland near Paris, top dancers from all over the world are competing to gain the world title. And the best thing about this competition it is totally open to everyone! This year A&L Team have participated in this event and what a successful weekend we all had. Kai Widdrington and Natalia Jeved 1st place in the Under 16 Worlds Latin Championship! Great Results had by all. Well done everyone. We will certainly see Disney next year!